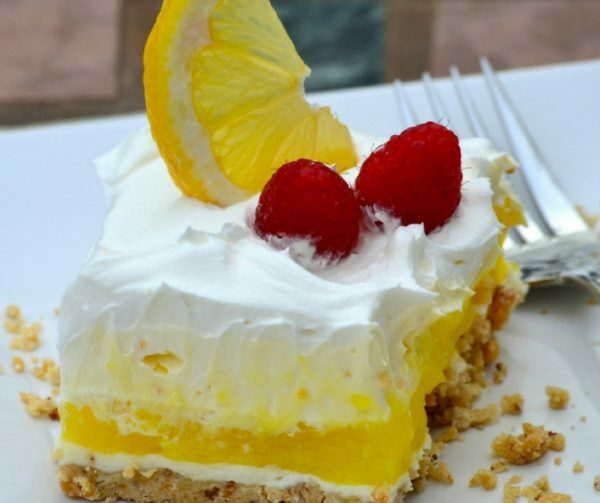 This Lemon Cream Cheese Pake (Pie/Cake) , as I like to call it, breaks every one of my rules for recipes I will post on my blog. First of all, some of the ingredients are boxed rather than homemade. Next, this dessert isn’t exactly a healthy option (though there could be worse) and finally, there is no real cultural connection to this recipe. But… it was one of my mother’s favorite desserts to make and for that reason, I am sharing it with you. My Mother loved to make desserts. She was the queen of dessert making in my family and every single dessert she made was delicious. Many of her recipes were passed down from her mother, like her Homemade Apple Pie, and her Old Fashioned Molasses Cake from 1942. But this Lemon Cream Cheese dessert was one she had been making for at least 35 years when I was just a kid. 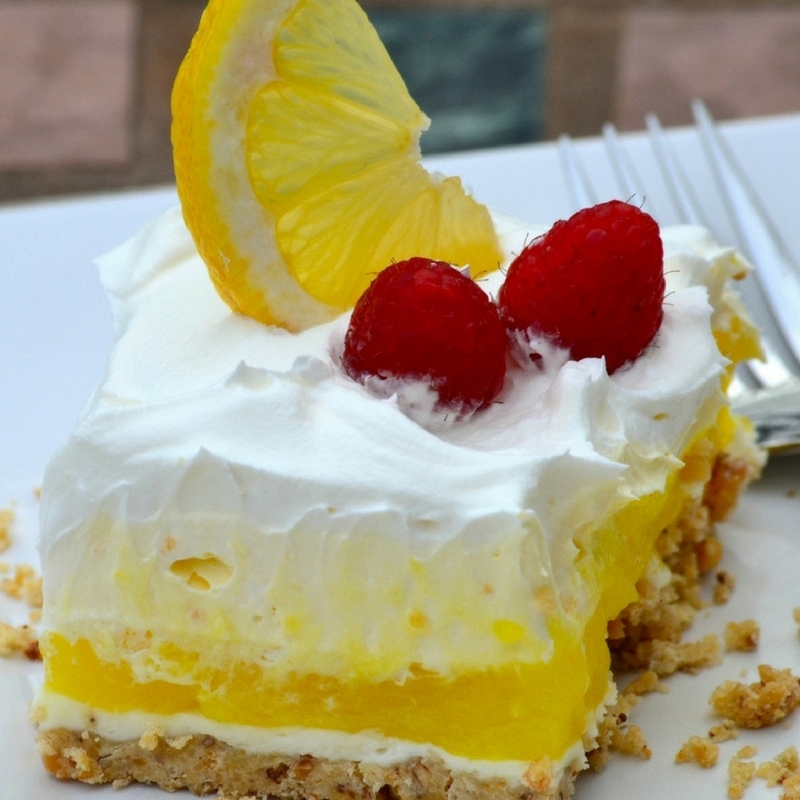 I wanted to honor the memory of my mom by posting her favorite dessert for all of you to enjoy. Thanks, mom. I miss you! In medium bowl, combine flour and nuts. Cut in cold butter until butter resembles course crumbles. Massage any remaining chunks of butter into the crust. Prepare a 9 x 13 pan and press crust into the bottom of the pan. Bake 4-5 minutes or until edges are golden brown. Remove from oven and let cool. Using a hand mixer, beat cream cheese and confectioners sugar in a medium bowl until smooth. Carefully spread over crust once crust has cooled. Spread over crust. In medium saucepan, stir pudding mix, sugar 1/2 cup water and egg yolks over medium-high heat until blended. Stir in remaining water and bring to a full boil, stirring constantly. Remove from heat and refrigerate to cool. Spread over cream cheese filling. In a medium bowl, beat milk and vanilla pudding on low for 2 minutes before adding in vanilla. Fold in half of the whip cream and refrigerate until cool. Spread over lemon filling. Spread remaining cool whip over the top of the dessert. Leave plain or garnish fresh fruit. Garnish with chopped nuts, toasted coconut or any topping you like.